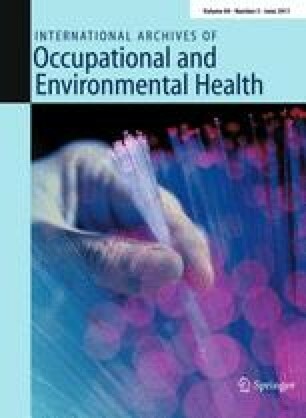 There is evidence that a history of sick leave (SL) increases the risk of suffering a new episode. However, little is known about the effect of the number of previous SL on subsequent ones. The aim of this paper was to quantify the effect of prior episodes on the risk of experiencing a new one and the effect on the duration of episodes, by diagnosis. Prospective study. Sample comprises 1,542 workers from a university hospital, whose first contract started during 2000–2007. The studied workers accumulated 5,138 episodes, 21,250 days of absence and 45,324.2 months of follow-up. For all the causes, recurrence density was higher than incidence density. The higher the number of prior SL, the greater is the hazard of presenting a new episode. This is particularly true for episodes due to mental and behavioral disorders, diseases of the skin and subcutaneous tissue, and diseases related to nervous system. The adjusted hazard of suffering an SL episode due to mood disorders was increased 21.44 times when the worker had previously had one SL. The corresponding figures were 14.58 and 13.92 for SL due to skin and mucous membrane diseases and due to neurotic or stress-related disorders, respectively. The results obtained provide evidence that having suffered previous SL episodes implies a significant increase in the risk of experiencing a new one. High recurrence density of certain diagnoses should be interpreted as a general indication that something is wrong in the occupational setting. This study was partially funded by the Fondo de Investigación Sanitaria, Instituto de Salud Carlos III, Ministerio de Ciencia e Innovación, Gobierno de España (PI080703 project).